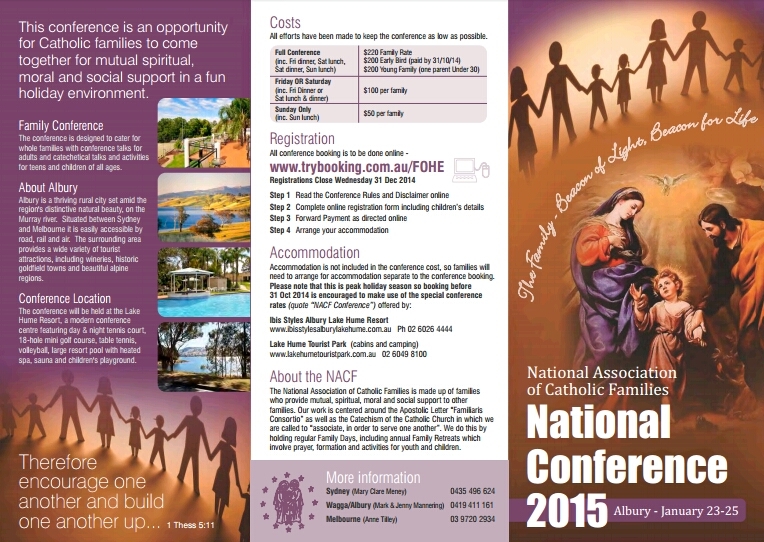 This will be the fourth National NACF conference and will be held from the 12th-14th of April 2019. 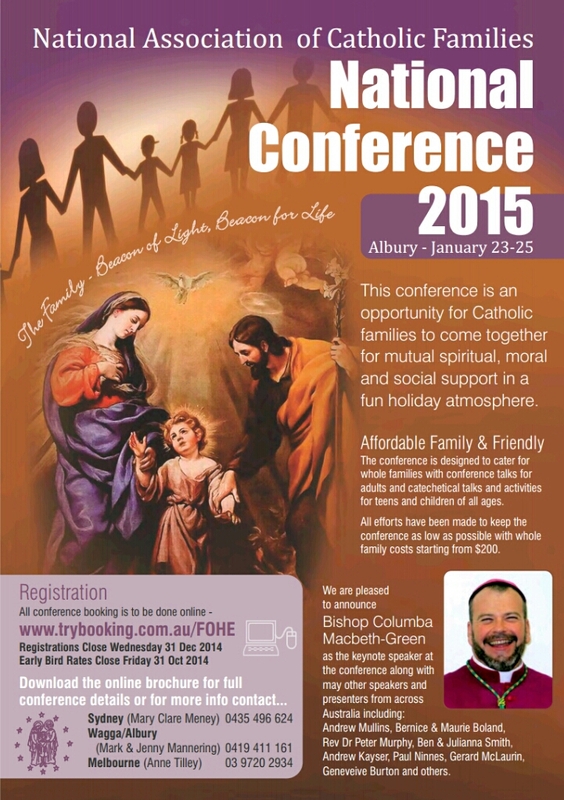 It is an opportunity for Catholic families to come together for mutual spiritual, moral and social support in a fun holiday environment. 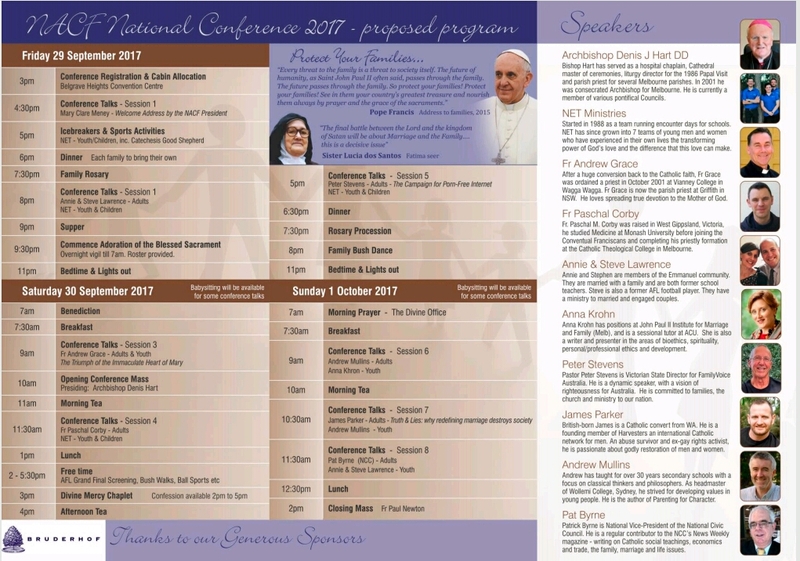 It is designed to cater for whole families with conference talks for adults and catechetical talks and activities for teens and children of all ages. The Great Aussie Holiday Park, on Lake Hume, Bowna NSW (near Albury) This award-winning facility offers a huge range of accommodation options, including camping PLUS great family facilities including swimming pool, water spray park, flying fox, archery, riding bikes, water sports on the dam and jumping pillow. 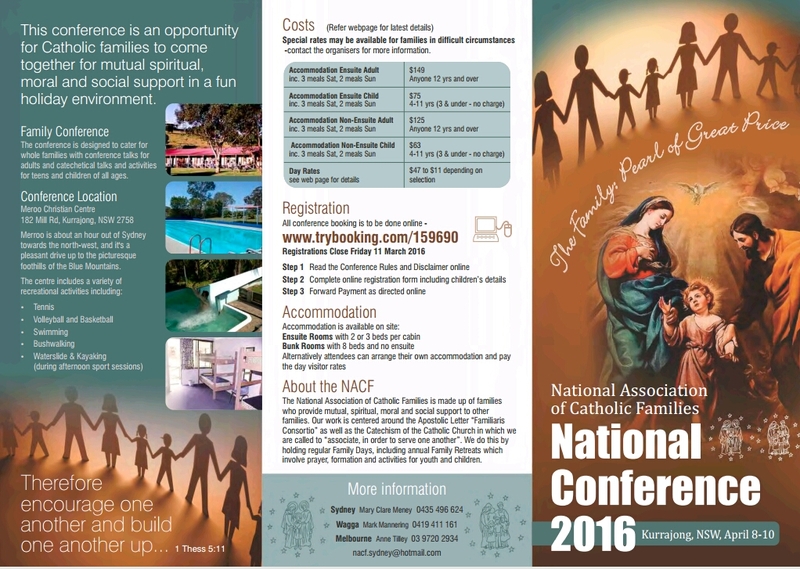 From the 29th of September to the 1st of October, the NACF (National Association of Catholic Families) held their third annual conference, this time in Belgrave Victoria. The Belgrave Heights Convention Center, set on a large property among trees with space to camp, for those who wished to brave the elements, provided a great setting for the three day conference. There were about 40 families in attendance. 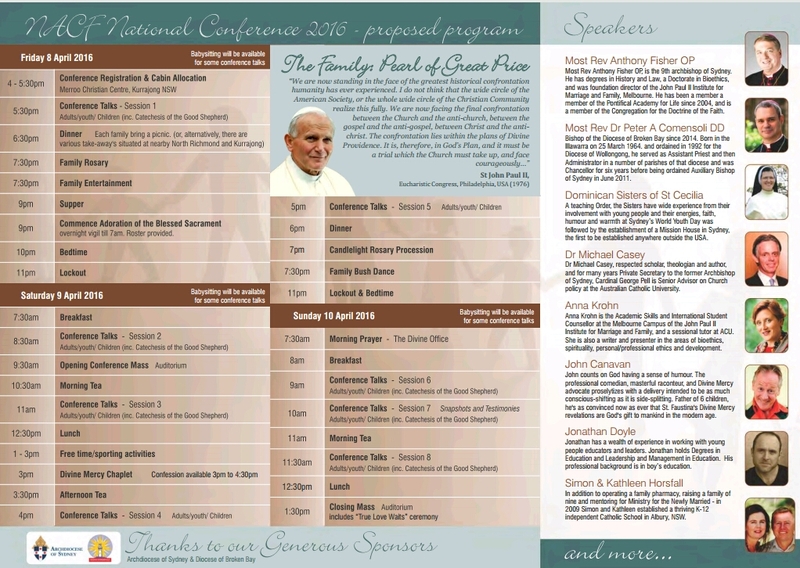 Registration began around 3pm on Friday afternoon, followed by some activities with the NET (National Evangelization Team) for the youth, and Catechesis of the Good Shepherd, as well as a talk on parenting by Steve and Annie Lawrence for the adults. There was also a family rosary in which different families took turns to lead the decades. The Blessed Sacrament was present in a makeshift chapel, allowing for the possibility of overnight adoration. Myself and a few friends filled the midnight till 1am slot, with parents and other young adults taking turns throughout the night. On Saturday there were talks by Fr. Andrew Grace on the Triumph of the Immaculate Heart of Mary, Fr. Paschal Corby on Marriage and the Natural Law, and Peter Stevens on a campaign for Clean Feed Internet, as well as more activities with the NET for youth. I was privileged to serve at the opening Mass later in the day (complete with candles and incense), celebrated by Bishop Peter Elliott. He gave a brilliant homily on St. Jerome (whose feast day it was) and also on the family, explaining how families should be in one sense monastic; fortresses against the attacks of the world, and safe places to learn the Faith, while also being like yeast; working to bring the Truth of the Gospel to the world in which they live by their witness. In the afternoon there was some free time, with the AFL Grand Final on TV for those who wanted to watch it, and the Tiger fans cheered on their team to victory. Others played on the playground, had a kick of the footy or spent time socializing. After dinner there was a candle-lit rosary procession around the campgrounds with a statue of Our Lady of Fatima, accompanied with the singing of “Ave, Ave, Ave Maria…” after each decade. Many of the children carried their candles in hand-made candle holders they had made earlier in the day. This was followed by a family bush dance with live music performed by members of some of the families. It was great fun, with nearly everyone joining in with what is truly a unique experience these days; parents down to young children (and everyone in between) all dancing together to the same music. On Sunday there were two talks by Andrew Mullins; one for the parents and another for the youth. There was also a very powerful talk by James Parker (a former gay rights activist) on Truth & Lies; Why redefining marriage destroys society. Anna Krohn spoke to the youth on Why We Believe What We Believe, and Steve and Annie Lawrence gave them a talk on Bringing Hope to the World. The final presentation for the weekend was from Terri Kelleher, from the Australian Family Association, who spoke about the current social and moral issues facing Australian families. The closing Mass was celebrated by Fr. Paul Newton. 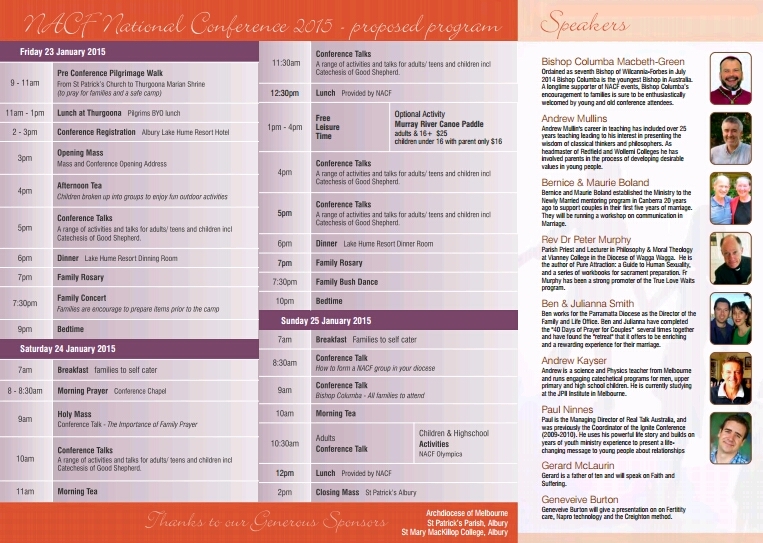 While there were many great talks and activities throughout the course of the conference, I’m sure that those who attended would agree that the highlight was the opportunity to meet up with other like-minded families. 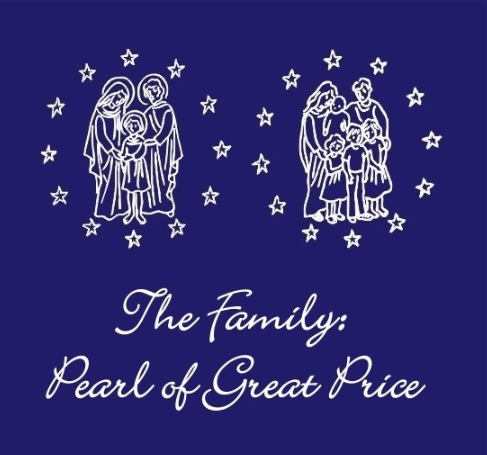 In this day and age, when the family is almost constantly under attack from all sides, it is very important for Catholic families to support each other in their Faith, and in regard to the challenges posed by our secular culture, for as St. John Paul II said; “the future of humanity passes though the family.” – Familiaris Consortio. 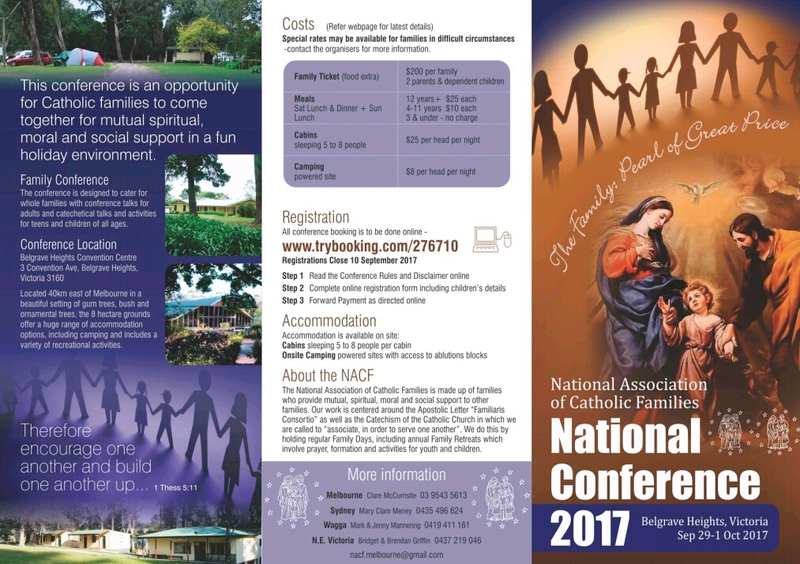 The NACF Conference was a beautiful reminder that the foundation and heartbeat of society, despite all the challenges it faces, is still beating strong.